Get your BLUSH ON! Add an instant pop of color and radiant glow with a rich silky smooth, highly pigmented finish with fade proof formula. 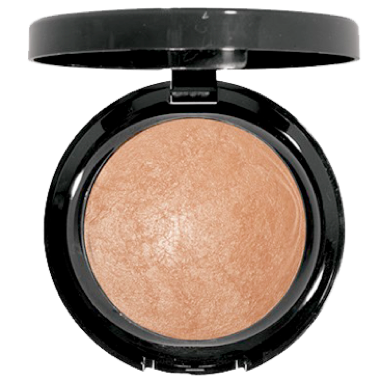 Our XL Universal Face and Body Bronzer & Highlighter instantly brings life to every complexion. Every Beauty must have glow. Our fine milled baked mineral powder glides on silky smooth. Revealing a subtle yet buildable golden glow to evry #ComplexionToPerfection! TIP: Using a Large Fluff Brush apply to your facial contour and décolleté, dust around your natural hair line, along your temples, down along the sides of your nose and contour of your cheeks to excentuate your natural facial structure and reveal radaince #Get that #Melaninpoppin 365 day #GoGLAM Glow! #1 Beauty MUST HAVE in your bag!